The interest rate derivatives markets underwent significant change in the wake of the global financial crisis, change that included the adoption of multi-curve modelling frameworks and market data. Furthermore, even for simple financial instruments significant effort for pricing and risk management can be necessary due to collateral agreements and the consideration of xVA. The latter are adjustments due to credit or liquidity issues. We not only cover multiple yield curve construction but we also consider volatility surfaces for different underlyings. Interest Rate Derivatives Explained provides a technical but practical guide to the post-crisis fixed income markets, examining the business, products and structures and modeling of interest rate instruments. Written in a highly practical manner, it provides a foundation of knowledge and a solid understanding of the current market practice for financial engineering, risk management and trading of interest rate products. The book begins by outlining the new, post-crisis market infrastructure along with the regulations that are reshaping the industry. This includes clearing mechanisms, collateral, and then an introduction to the basis notions of interest rates. In this light we discuss all necessary steps to cover linear instruments such as swaps. To this end we consider the building of yield curves in detail. Further to these considerations we discuss the notion of volatility and cover the standard options Caps/Floors and Swaptions but also advanced products including Constant Maturity Swaps are considered. Here we detail the pricing, the risk factors and the proper management for trading, controlling and for Treasury departments. 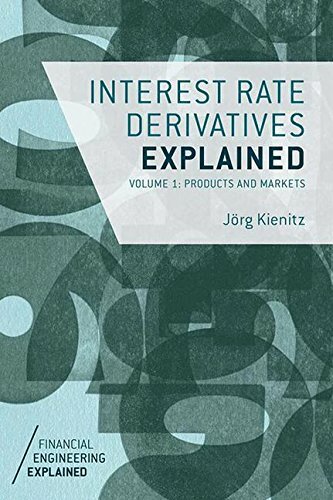 Interest Rate Derivatives Explained will provide both new and seasoned practitioners with a concise but thorough guide to the fundamentals of interest rate products, markets, pricing and risk management, and will be a valuable reference for anyone studying or researching the field.